-one- In case you haven't noticed, I'm really into sky photos...sunset, sunrise, clouds, etc. 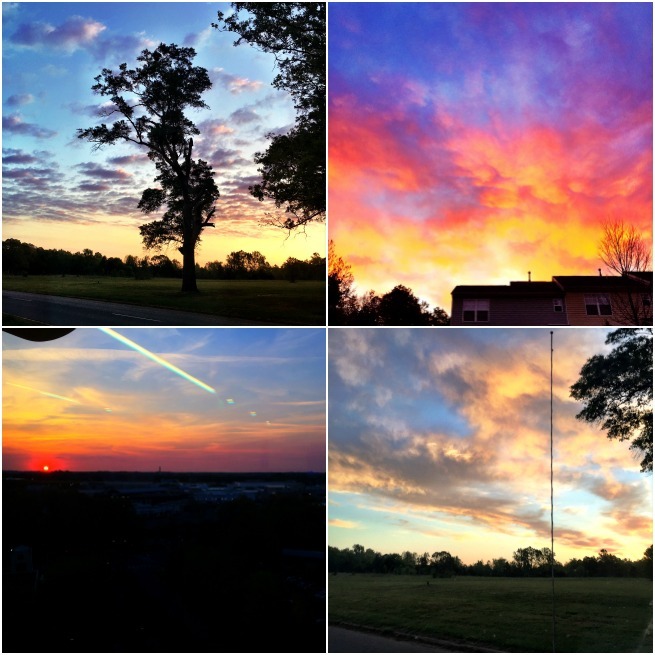 If it's of the sky, I have a compulsion to snap a picture. Below are a couple that I've taken this week. -two- I'm really, really, REALLY over rule-breakers. Let me go back and start from the beginning. I'm a rule-follower. If it's a rule or a process, I do it exactly as I'm told. I loathe when people break rules or do not follow processes. It's really become an issue as of late at work because people are parking in spots they aren't supposed to. AND IT DRIVES ME CRAZY. Most of my rage from rule-breakers stems from traffic/driving actually. There's this one place that has a long right shoulder that eventually runs straight into a turn lane. I wait until it actually, officially becomes a turn lane get into it. And all the time people drive down the shoulder of the road when there is traffic and go to the turn lane, so whenever possible, I pull my car out ever so slightly over the right line just so that people cannot zoom past me on the shoulder and turn right. No sir! You may wait for your turn just like I am. Call me a jerk, but I don't care. You will not break the rules on my watch! -three- Did you guys read about Inky the Octopus? 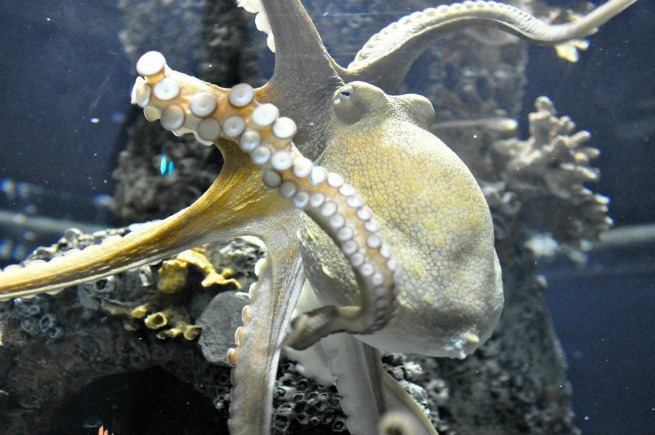 It's a NZ octo that escaped his tank and went back into the ocean! :) Read the actual story here. But what I'm loving is all the tweets about it yesterday and today. Just search #inkytheoctopus on Twitter and enjoy! Not Inky, but a pic of an octopus I took at an aquarium. -four- I whipped up this little dandy for my desk at work and I love it so much I might frame it. :) And maybe frame one for my house... 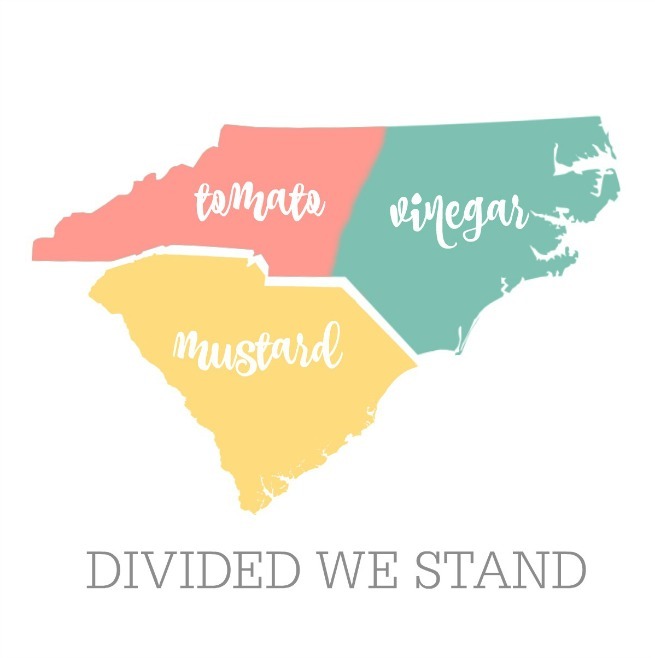 If you are from the Carolinas you'll get it. If not, ask me. HA! -five- I've blogged before about how I like to browse around on real estate websites to see how people decorate their houses, but what I've started doing as of late is finding houses for sale that are the same floorplan as mine (my house is a Portrait Home which is a fairly large homebuilder in my area) and seeing how people decorate the "problem areas" I've struggled to decorate in my own home. Like we have this weird cubby hole thingy and an oddly-set up kitchen so I like seeing how people decorate theirs. Is that strange? I think it's smart to seek inspiration for tough areas! Yes, that octopus is so awesome!